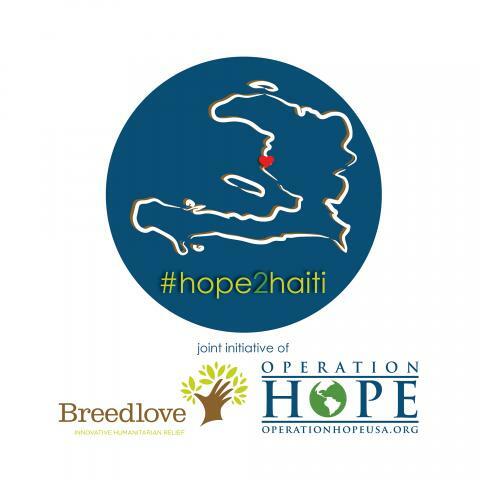 Operation HOPE and Breedlove Foods, Inc., a Lubbock-based humanitarian relief organization, announce today a collaboration to provide critical food aid for Hurricane Matthew victims in Haiti. We are joining forces in an immediate effort to raise funds to send a 20-foot container including 450,000 servings of Breedlove’s fortified food blends to the Saint-Marc area. Although I haven't had a great deal of contact with Jarred Minefee since he headed to Haiti 12 days ago, he was able to post a handful of fantastic images online that I would love to share with you. My original intention was to wait until I was able to get more of a story about each of these images, but I realize that many of these are too powerful to be left alone until then. Within the first couple of days, Jarred had the opportunity to be involved in a crusade in Montrouis as well as a beautiful baptism service the next morning. These three short films debuted last night at the Sixth Annual Operation HOPE Banquet and, as promised, they will now be available to watch 24/7 right here on operationhopeusa.org. They have been somewhat of a labor-of-love for me and I hope that they will touch your heart as you watch them. Interview with Dr. Kerry Reeves from Light Stone Productions on Vimeo. Operation Hope would like to thank our corporate sponsors that helped make our trip to Haiti a success! Whether it was thru fundraising, gathering donations, selling t-shirts, sorting or whatever, we couldn't of done it without YOU!!! Our hats go off to Accolade Home Care/Hospice, Aim Bank, Caprock Discount Drug, Covenant, Dupree Elem., 4Him Promotions, Freebirds, Dr.Patricia Arledge, Trinity Church, and UMC. On May 23rd – 29th 14 volunteers, consisting of a team of doctors, nurses and community members, went to Haiti on a medical mission trip. A view of Port-au-Prince, Haiti from the plane displays the abject poverty in this country. Although we generally hear stories of pain and despair coming from Haiti, we were able to see something in the Haitian people that many may not expect - hope.